PARIS.- In advance of the construction of the eastern Bergerac bypass route (Dordogne), the preventive excavation realized by Inrap at the open-air doline site of Cantalouette revealed prehistoric occupations from the Middle Paleolithic and Neolithic periods. Iluminada Ortega and Laurence Bourguignon of Inrap, along with their Spanish colleagues, have announced in the Journal of Archaeological Science Reports, the discovery of an Aurignacian art object, 35,000 – 31,000 years old. 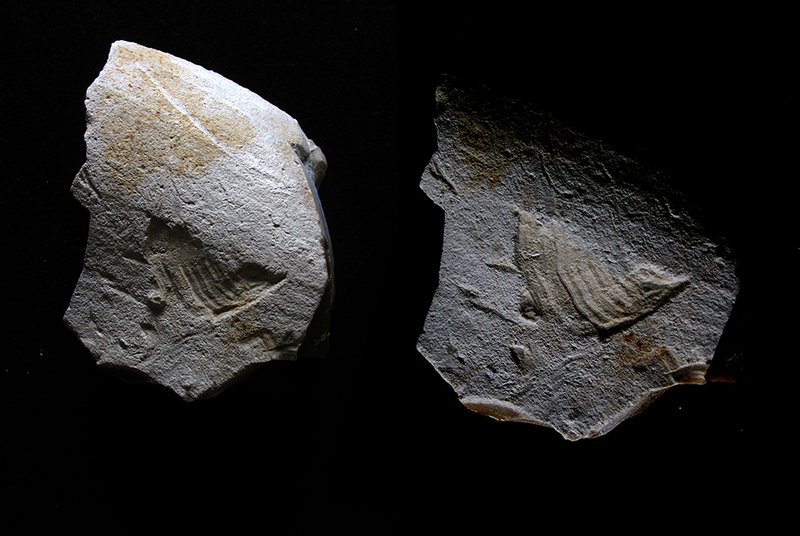 This object, depicting a bird, contributes to our knowledge of the origins of figurative art. This depiction is very distinct and probably unique in the Aurignacian period, during which Modern Humans arrived in western Europe. It is exceptional in its degree of naturalism, the nature of its support—the cortex (limestone coating) of a flint flake—and the engraving technique used. This “sunken relief” technique was identified through microscopic and 3D analyses realized at Cenieh (Burgos, Spain). Using a stone tool, an irregular surface was carved into the cortex of the flint flake. The impression of relief was created by making one side lower than the other. The feathers and details of the head—a short and pointed beak, a small eye, and a possible eyebrow—were then engraved. The chest is represented by a nearly straight line. The wings appear to be entirely spread and are represented from a planar perspective with parallel lines depicting the feathers. A small projecting line represents the legs or tail. This sunk relief technique was rarely used in Paleolithic art. This figure could represent one of three bird families present in France 35,000 years ago: Passerine, Wryneck or Phasianidae (ground living birds which include pheasants, partridges, junglefowl, chickens, Old World quail, and peafowl.). Its posture suggests the bird is drinking, courting or ready to take off. The artist skillfully captured a very precise instant typical of this animal’s behavior.